2-3 Piece Comforter Set – Includes Comforter and 2 Shams (1 for Twin). 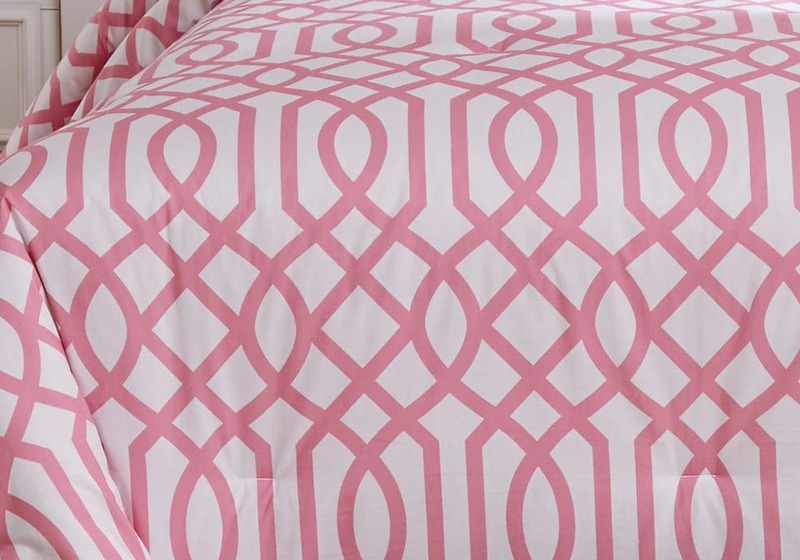 Geometric Design in Light Pink. Cotton. Filled with Polyester. 200 TC. Machine Washable.